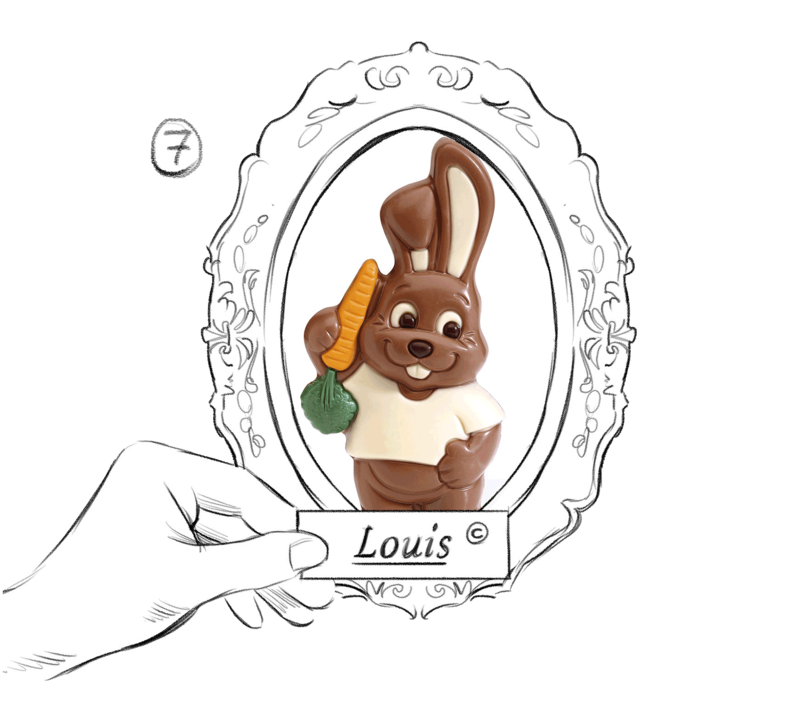 All our decorated chocolate figurines and lollipops are lovingly hand crafted. Each adorable figure exudes personality, character and irresistible charm. They immeditately make you smile! 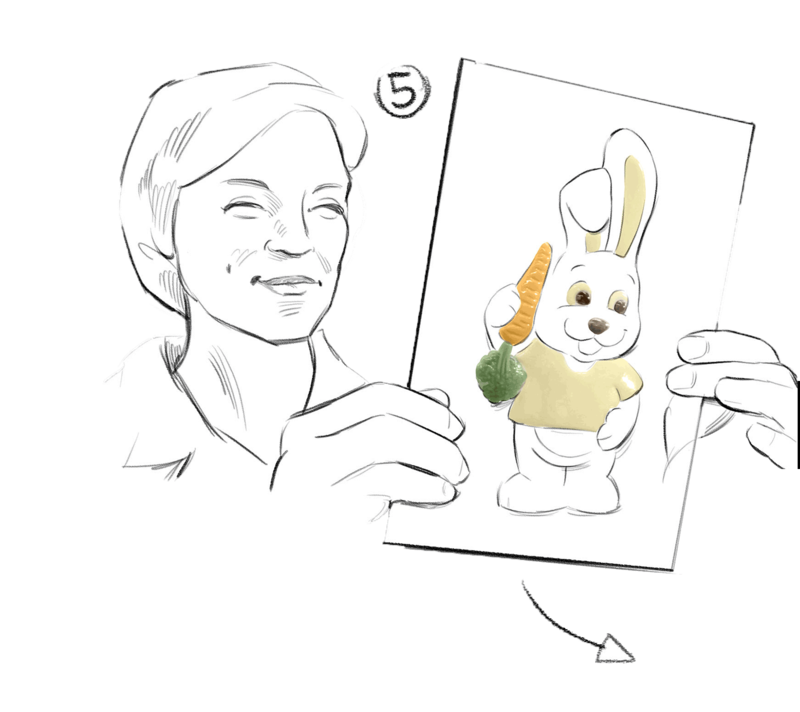 Here's how we bring them to life. 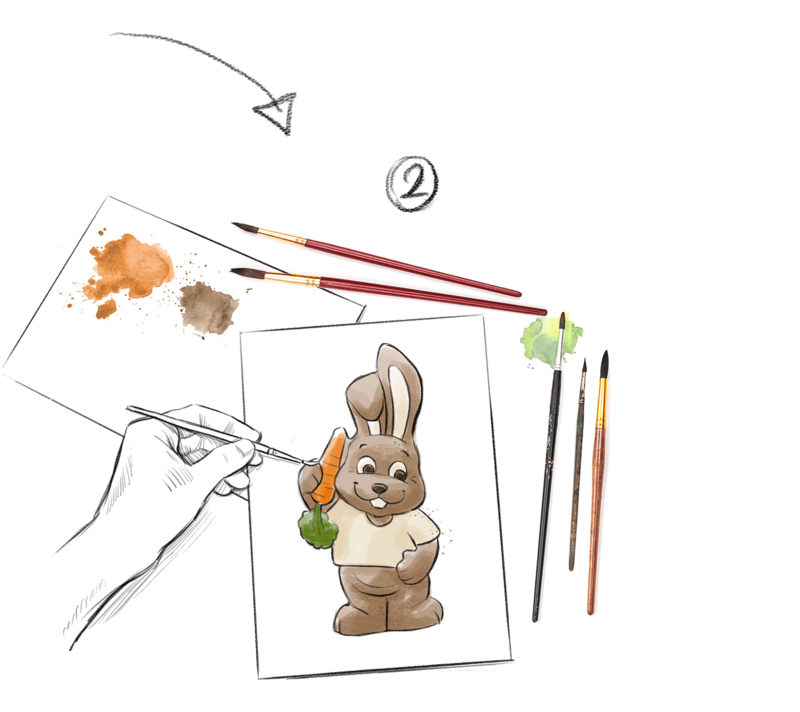 The identity of each chocolate figurine and lollipop starts with several drawings by our in-house designer. Or as we call him, "the man behind the magic". He develops their personalities by dressing them up. Our chocolate characters are then introduced to the rest of the team. The creations everybody likes the most discover their 3D form, as our model maker crafts them in clay. It's high precision work! 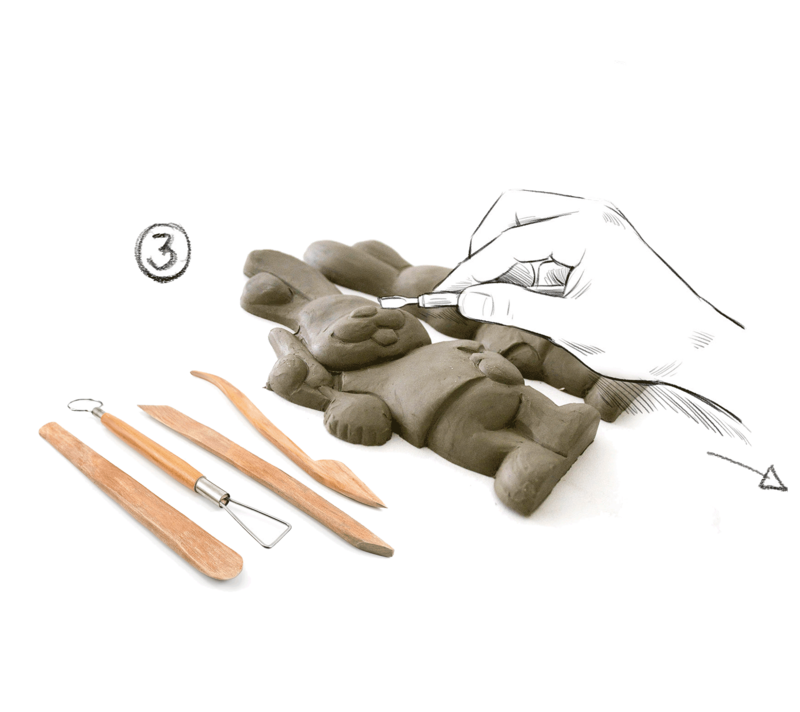 A flexible mold is taken from the clay figure to make a first model in plaster. The plaster model is refined with intricate detail. 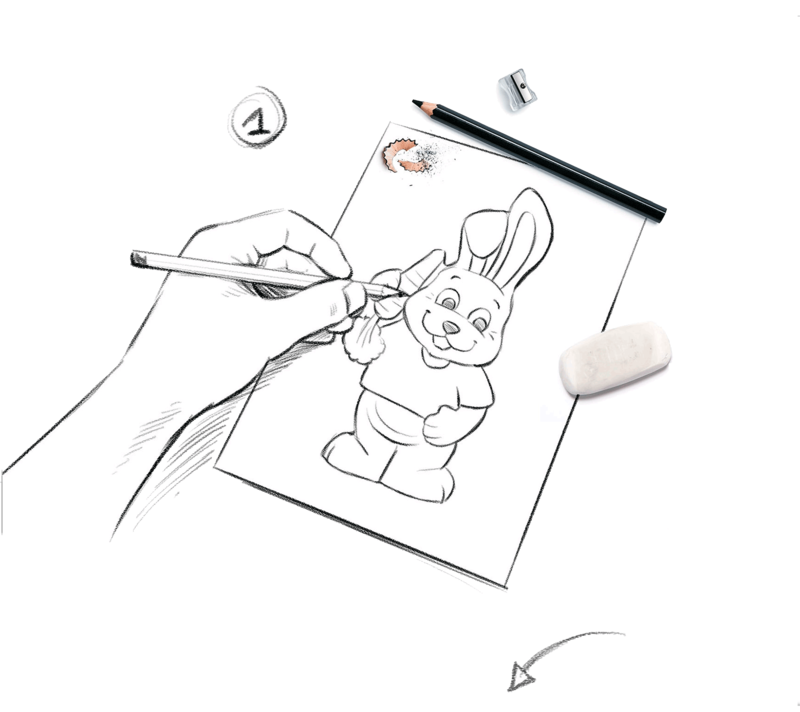 Our models maker's skilled hands ensure chocolate- friendly features. This requires real craftsmanship! The first figurine in chocolate is made by hand. The character we all fell in love with on the drawing board is smiling away right before our eyes! We experiment with different color combinations until we are satisfied with every little detail. 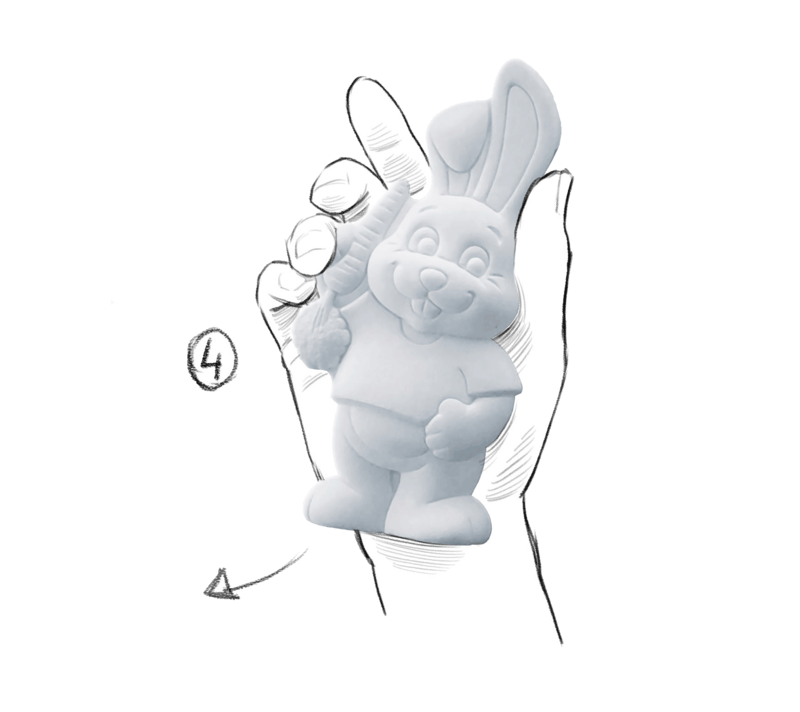 Only figurines with exceptional charisma and charm go into production, endorsed with our quality seal. 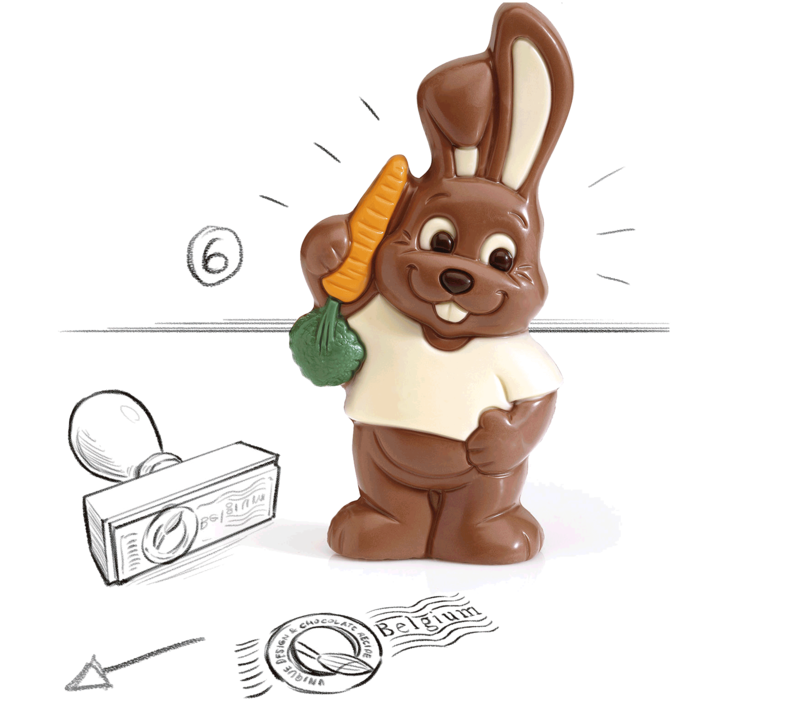 Each unique chocolate figurine is the result of a great deal of imagination, hard work and effort. We therefore name and copyright them before sending them out into the world. The ChocDecor "CD" engraving at the back indicates authenticity.